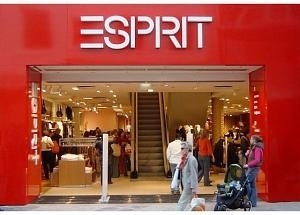 Esprit, which competes with Swedish clothing retailer Hennes & Mauritz AB and Spain’s Inditex, has been hit by weak demand in the euro zone and launched a four-year turnaround plan to revive its brand in late 2011. But more than a year into its $2.3 billion restructuring drive, Esprit, which sells everything from bed sheets to jeans, is still not showing progress, analysts said. “The turnaround is still looking very difficult,” said Gloria Tsuen of CIMB Research. Morgan Stanley and JP Morgan downgraded the stock to “Underweight” from “Equal Weight” and “Neutral”, respectively, after Esprit said it may post a loss for the six-month period due to weaker-then-expected operating results. Morgan Stanley also revised down its earnings forecast for Esprit for the year ending in June 2013 to a net loss of HK$144 million from a profit of HK$695 million profit, and cut its profit forecast by 61 percent to HK$576 million for the following financial year. Like China’s best-known sportswear company, Li Ning Co Ltd, Esprit is battling to revamp its brand and is restructuring its management team in a sector weighed down by high inventories amid a slowing global economy. Esprit in August hired Jose Manuel Martínez Gutiérrez, an executive from Zara owner Inditex, as its new chief executive to reassure investors about its restructuring drive following uncertainty created by a management reshuffle. But some analysts remain cautious over the management reshuffle. Shares of Esprit hit a one-month low of HK$10.88 and were down 5.3 percent at 0200 GMT, lagging a 0.3 percent gain in the blue chip Hang Seng Index .HSI. This trimmed the stock’s gain to about 20 percent this year after investors had bet on the company’s turnaround plan. Posted on December 28, 2012, in Other. Bookmark the permalink. Leave a comment.